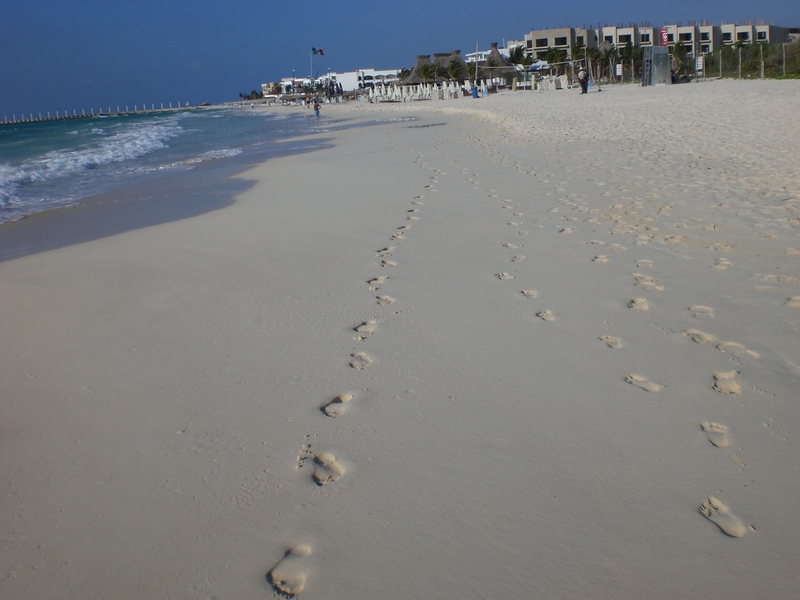 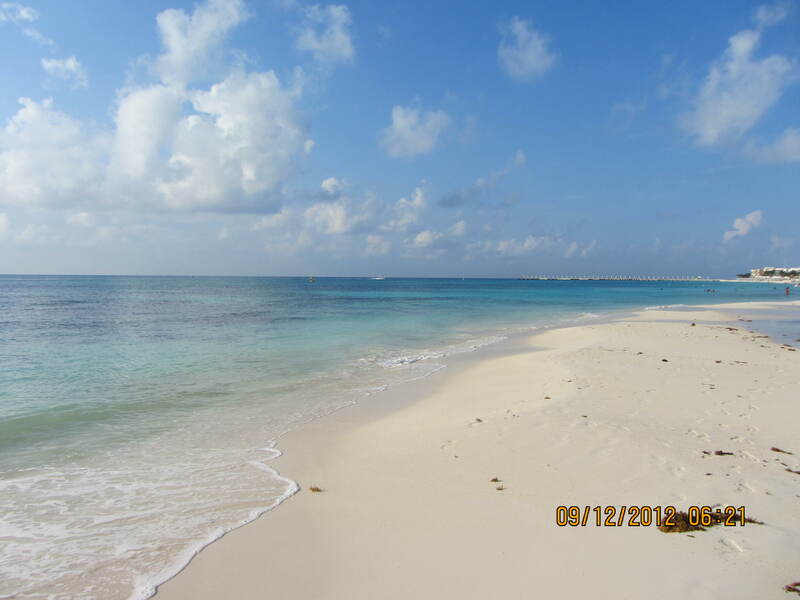 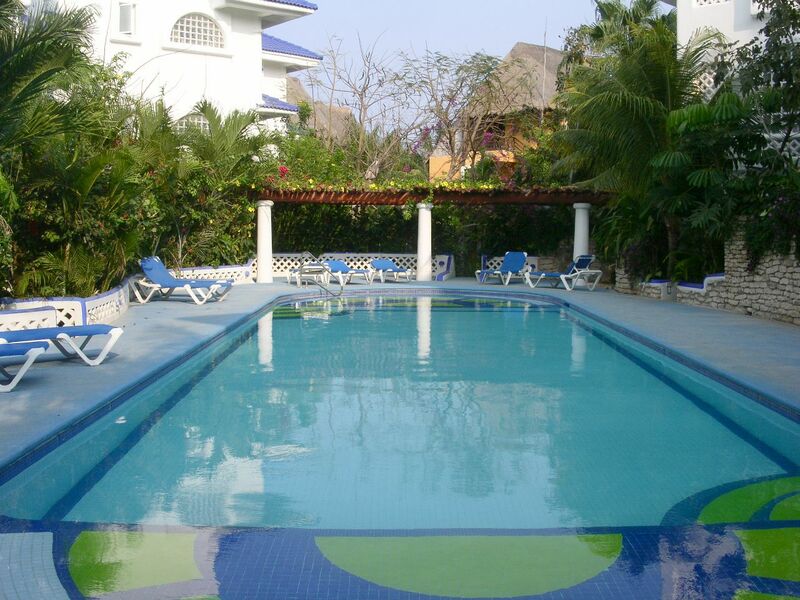 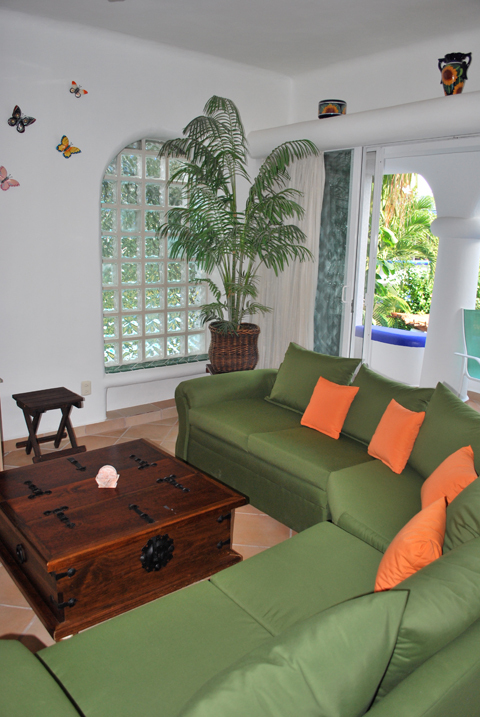 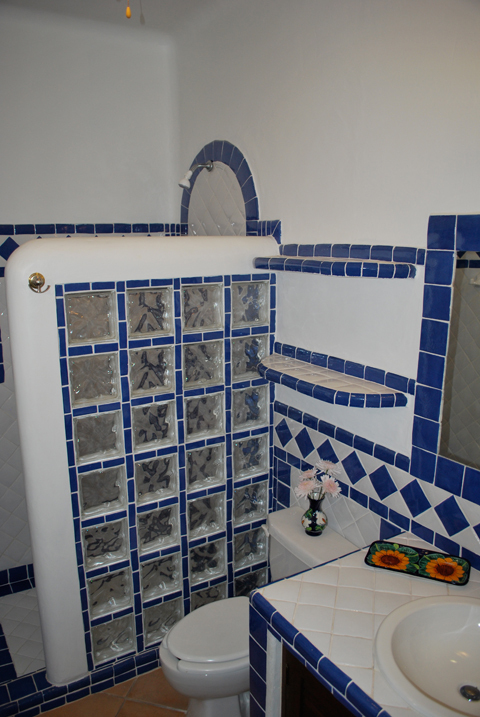 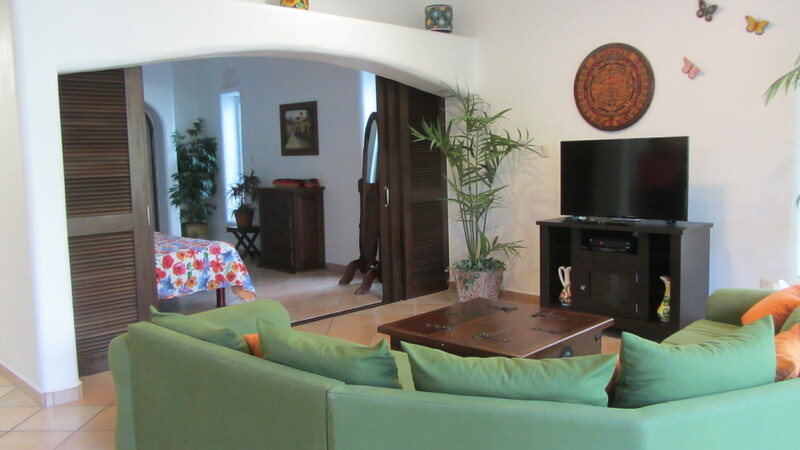 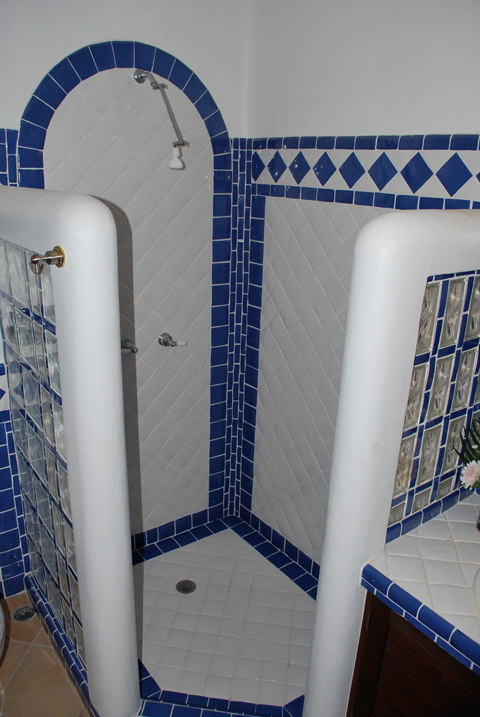 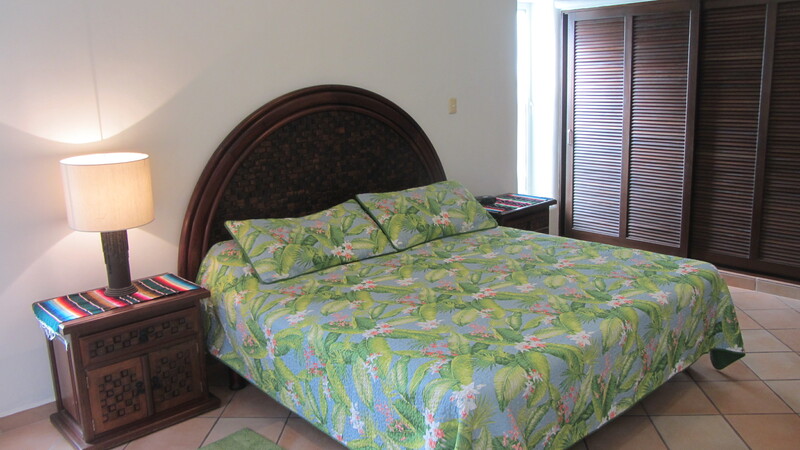 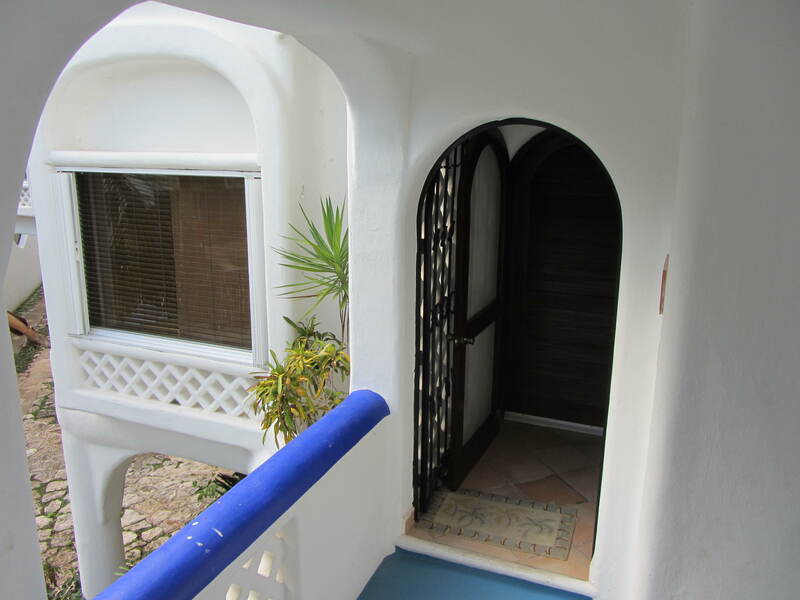 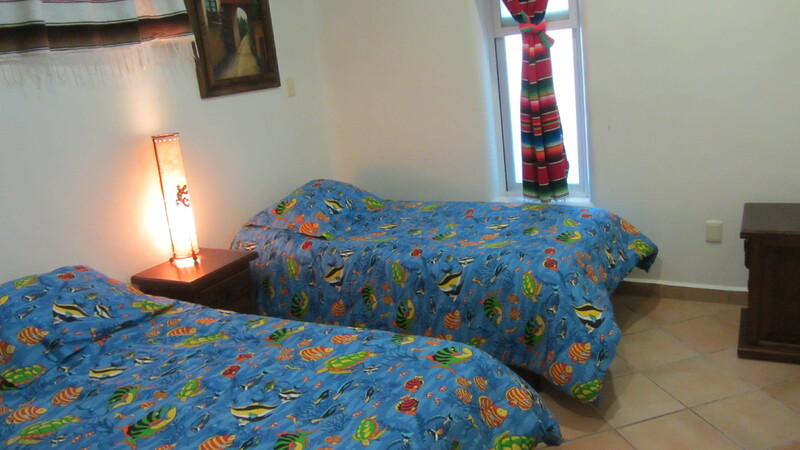 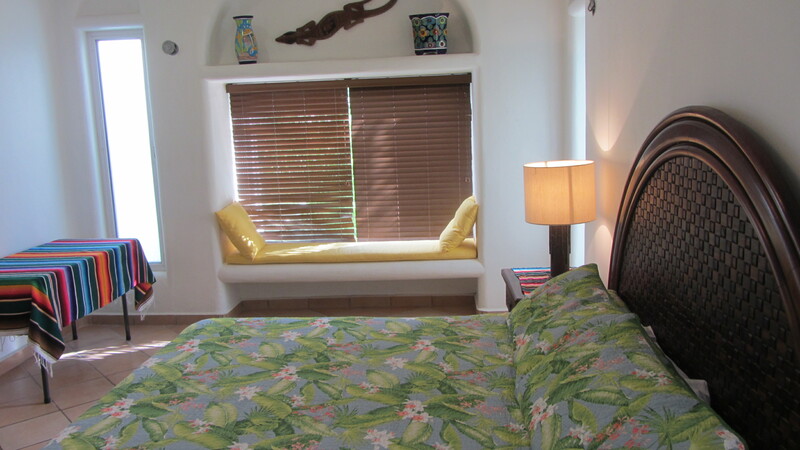 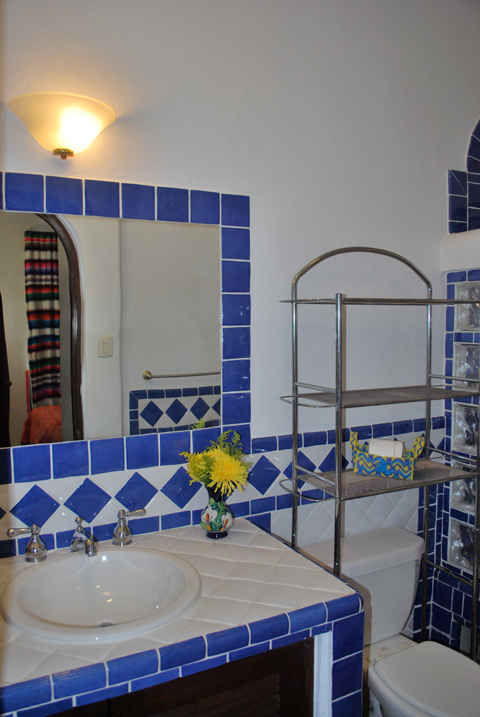 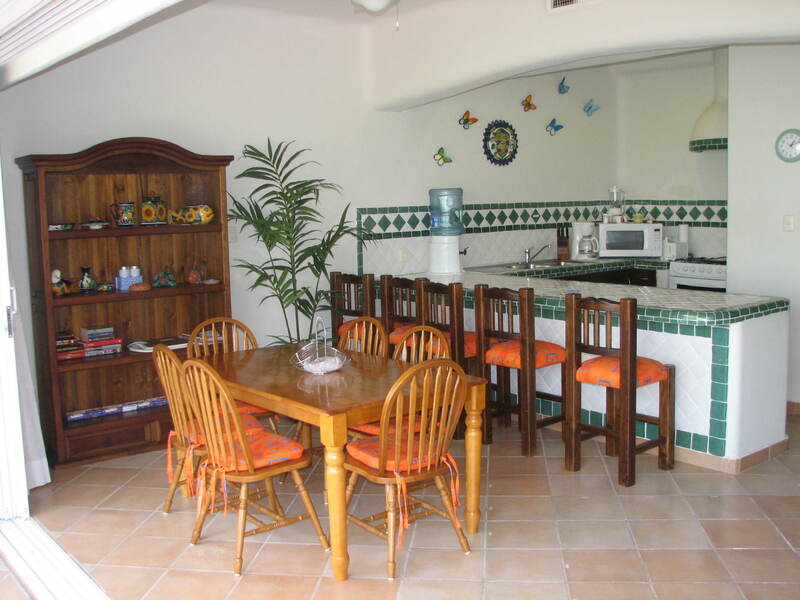 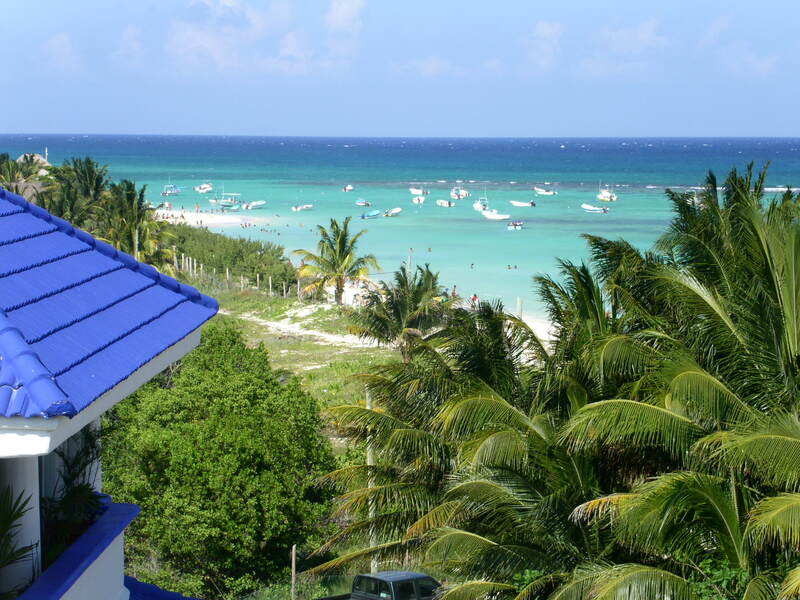 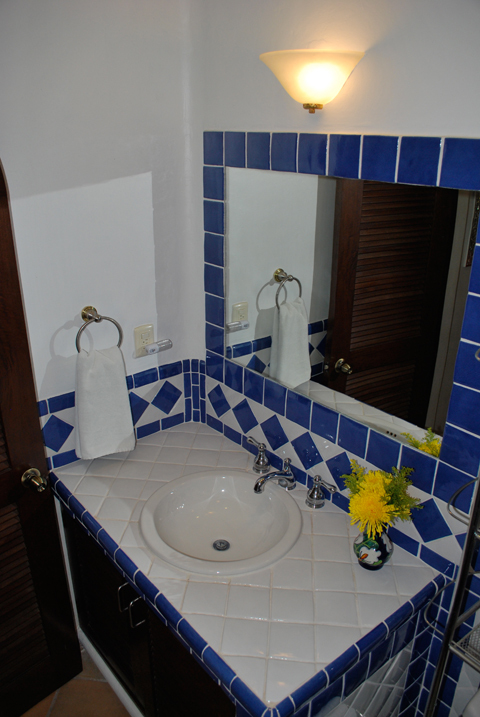 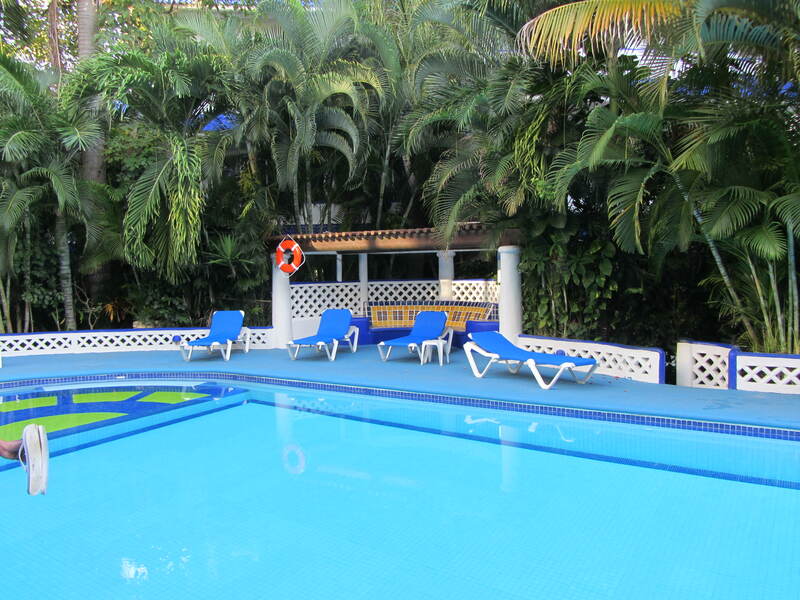 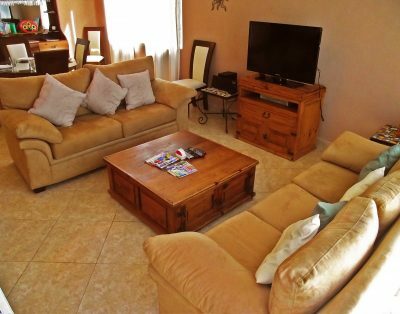 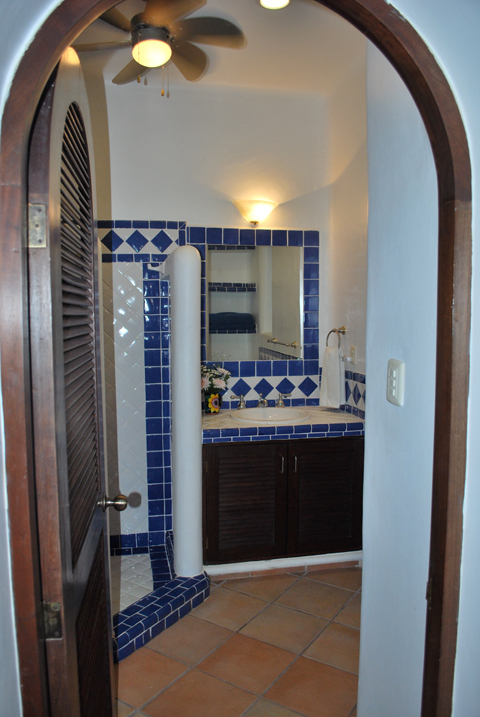 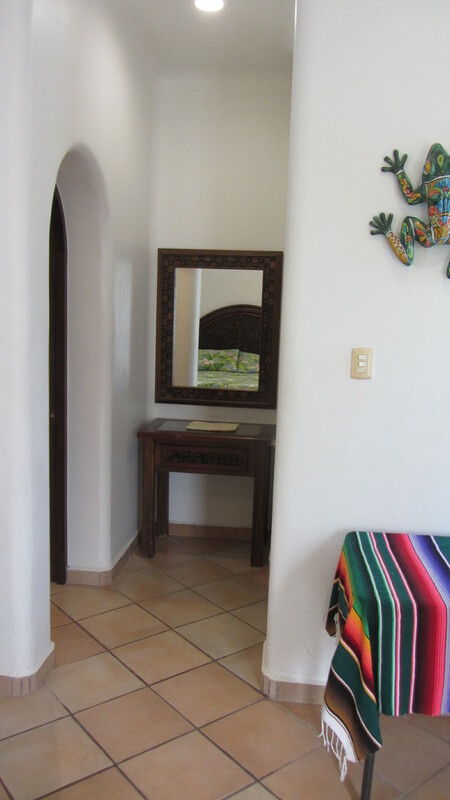 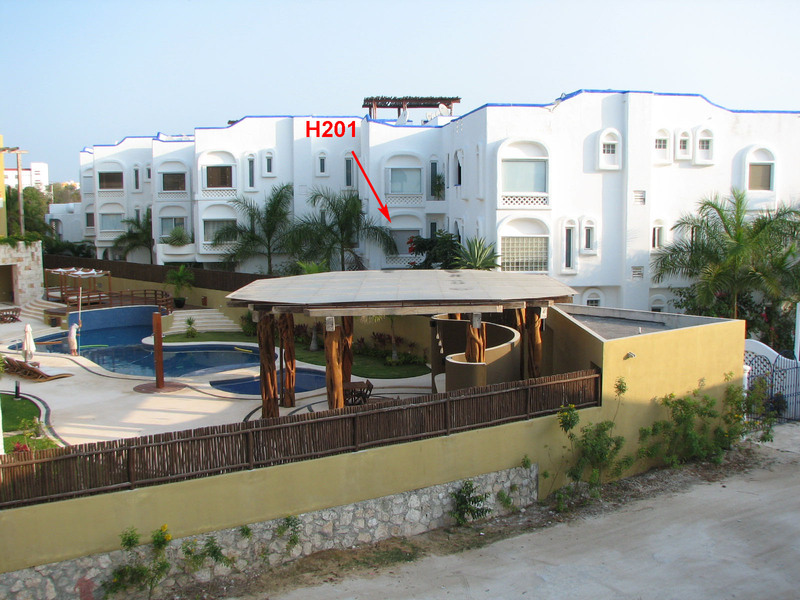 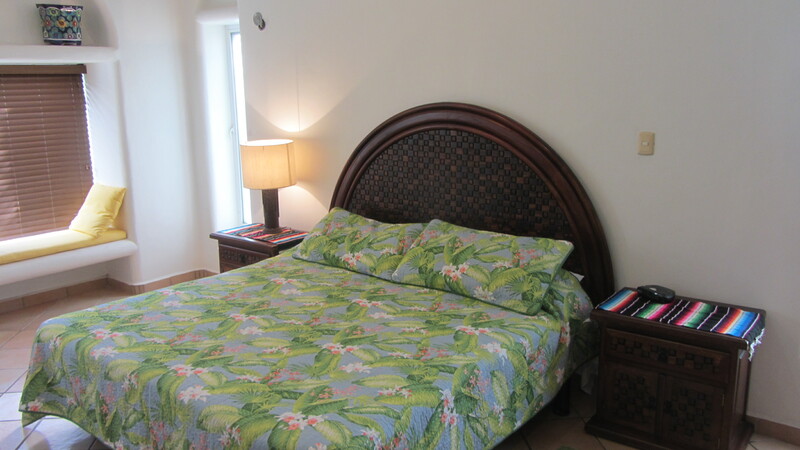 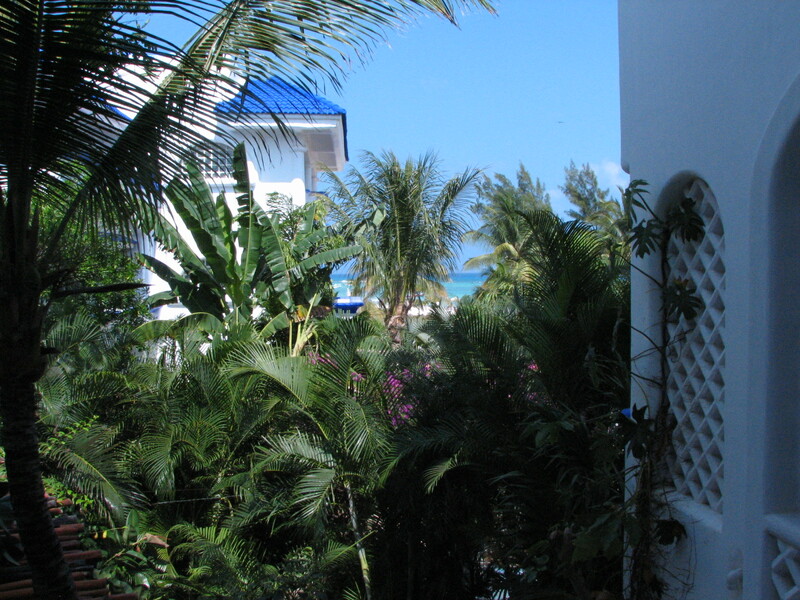 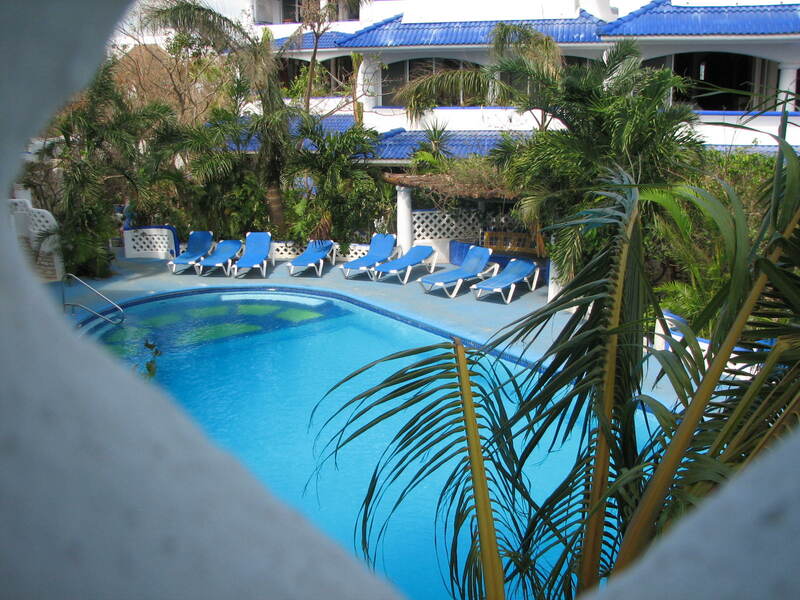 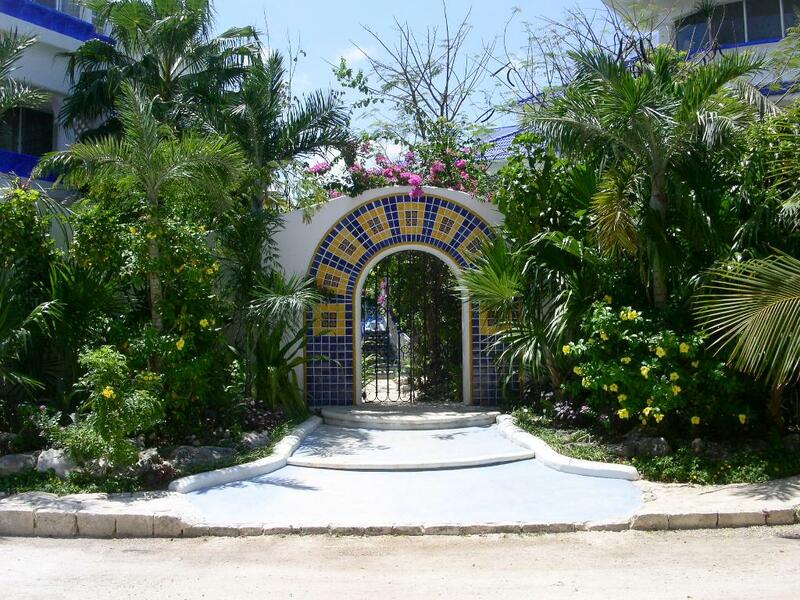 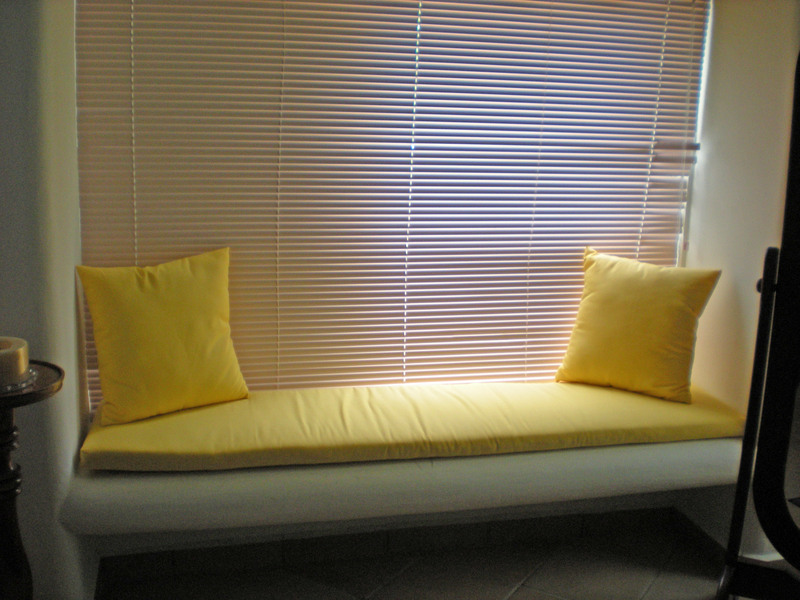 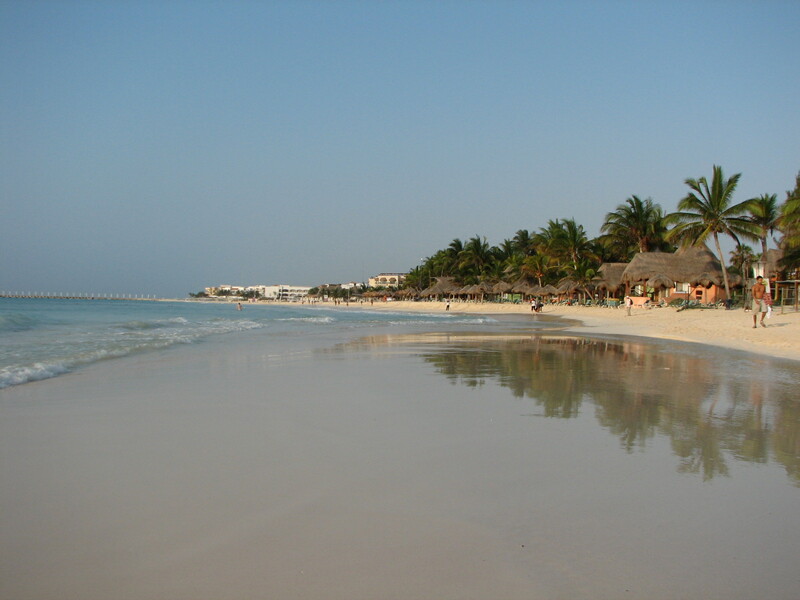 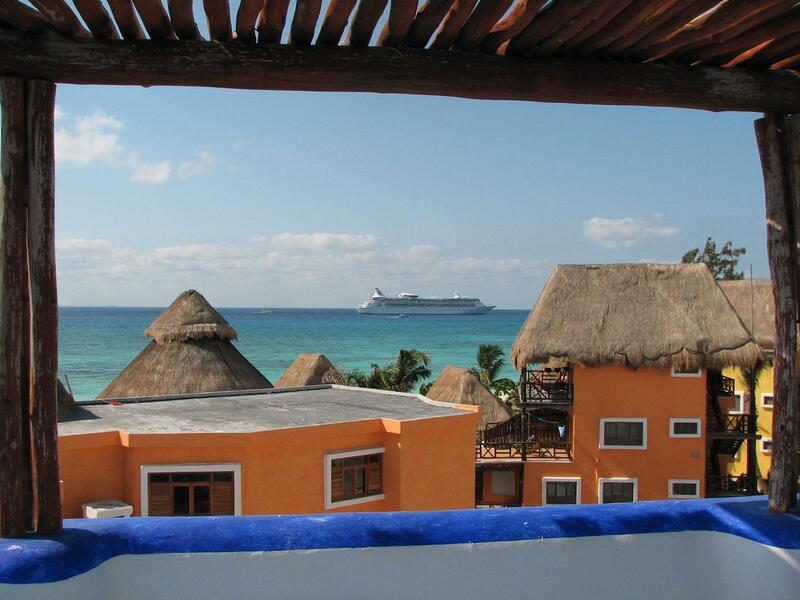 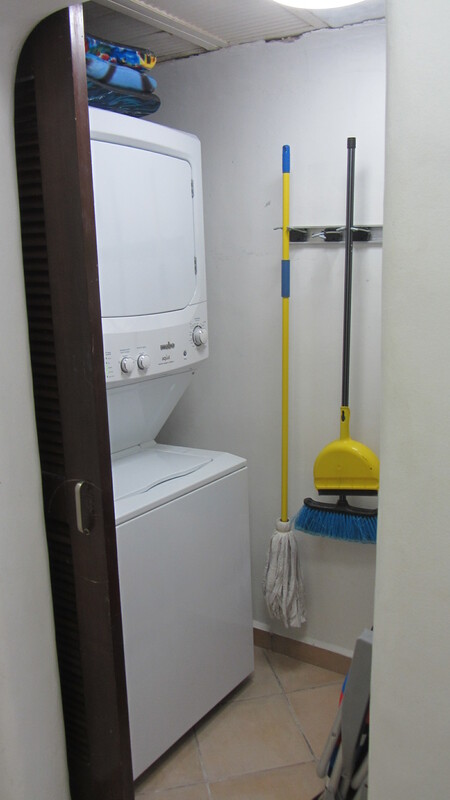 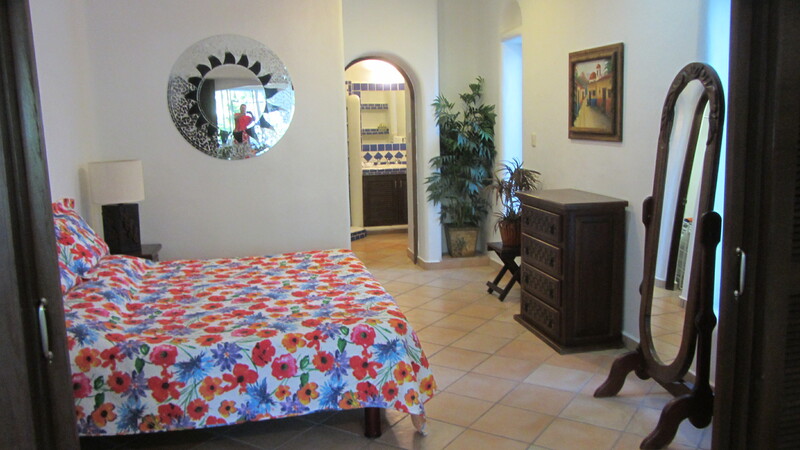 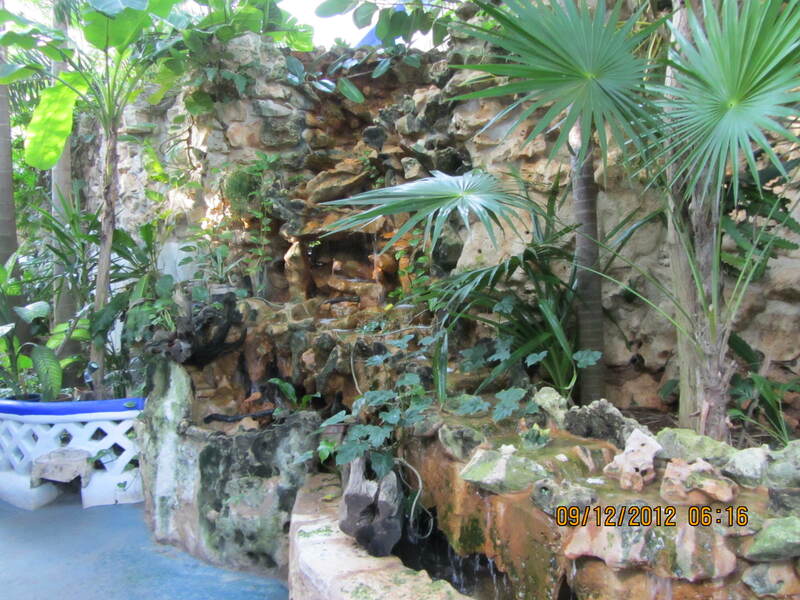 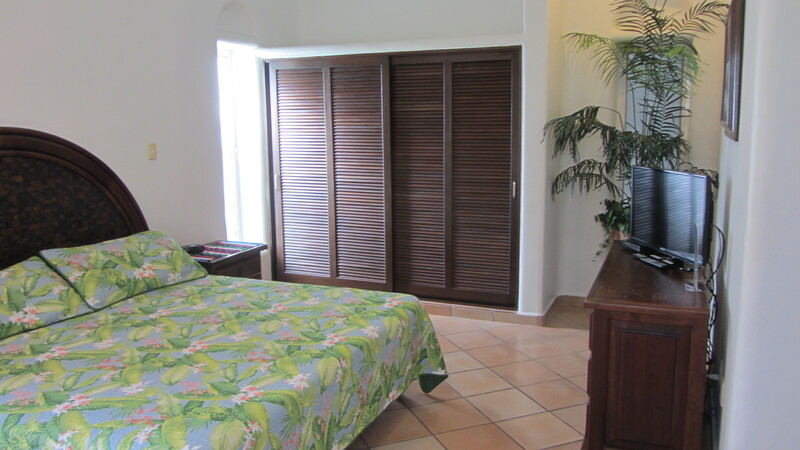 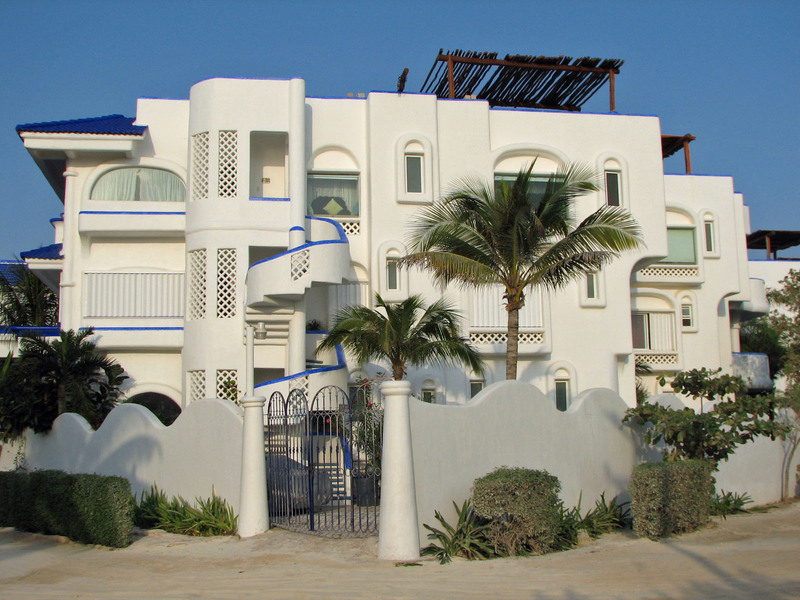 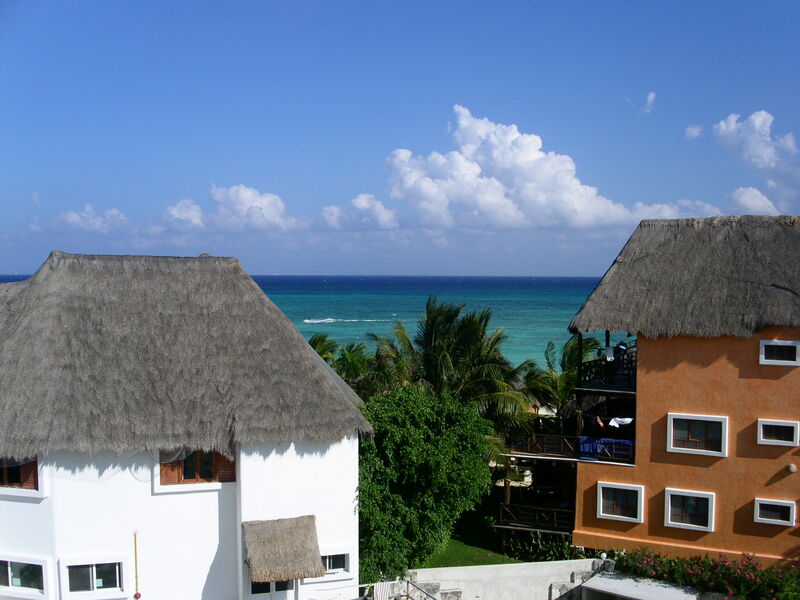 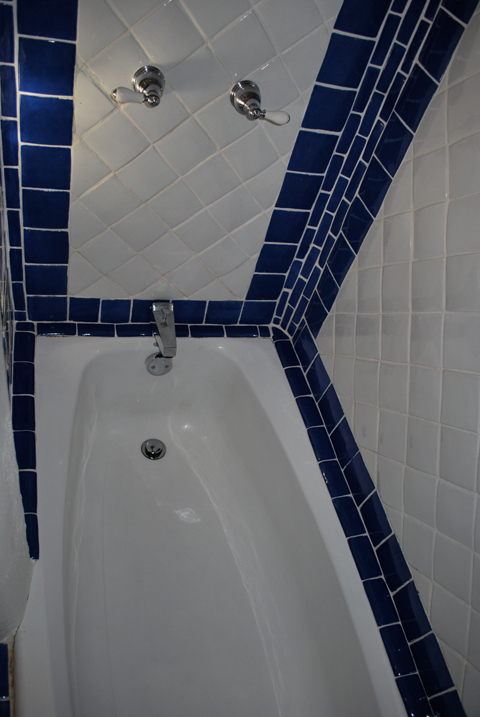 This nice 3 bedroom and 3 bath second level apartment is decorated in a colorful Mexican style. 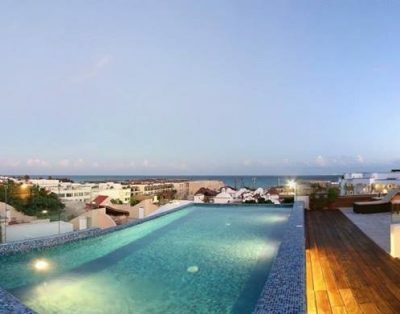 Both the living and dining areas have wall-to-wall glass doors that open fully to the terrace letting the morning sea-breeze refresh all around. 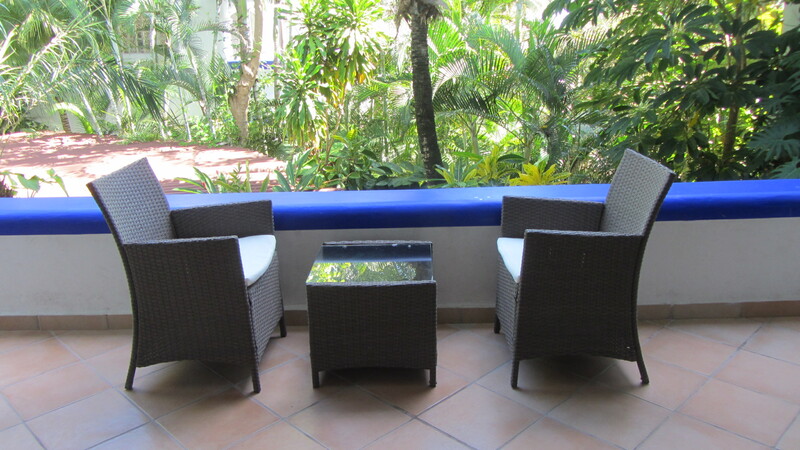 Surrounded by tropical trees and palms, the sensation of privacy is just what you want for a nice cold drink on the terrace. 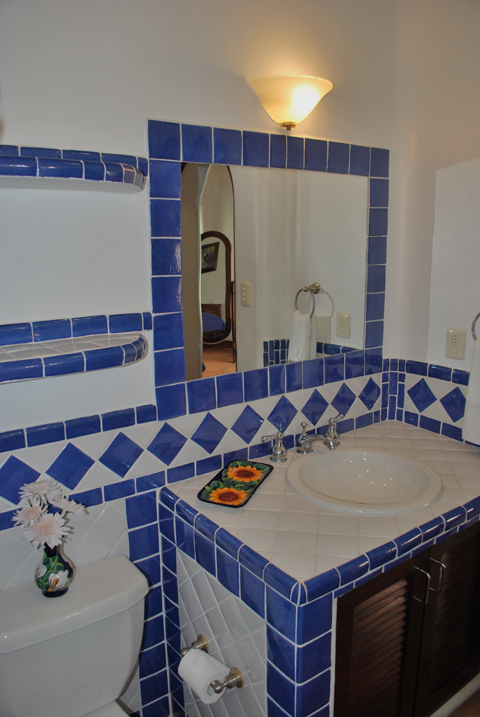 The handcrafted tile kitchen comes with everything you need for a relaxing dinner in private. 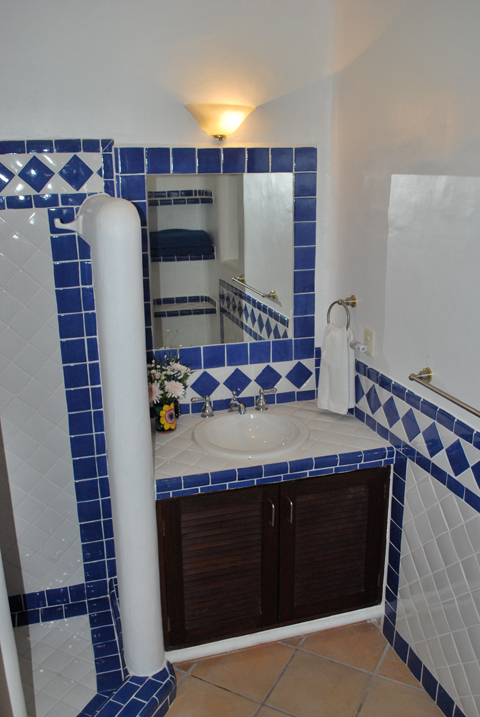 Every bedroom has its own private bath and closet.